Oxford River Cruises is delighted to offer private traditional boat hire and corporate hospitality during Henley regatta. A day or evening aboard one of our fine Edwardian style day launches is the ideal way to enjoy the extraordinary spectacle that is Henley regatta. 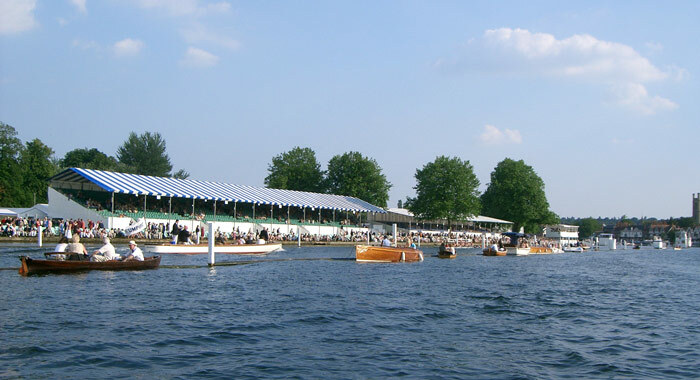 Full day boat hire at Henley Regatta starts at just £95 per person. Let us organise all the elements for your perfect Henley outing including gourmet picnics, fine wines, entertainment and entry to special events. All private boat hires start from our moorings in central Henley.